In a day and age where we like our news fast and accessible via the Internet, it is surprising to see an actual newspaper still triumphing while so many are going bankrupt. Despite the transformation of print news into social media, the New York Times, as Kevin Jagernauth of indieWIRE phrases it, “remains one of the banner institutions.” For yesterday’s Osama Bin Laden story, the paper printed an additional 125,000 copies of the issue because people still turn to them as the reigning authority for the latest news. 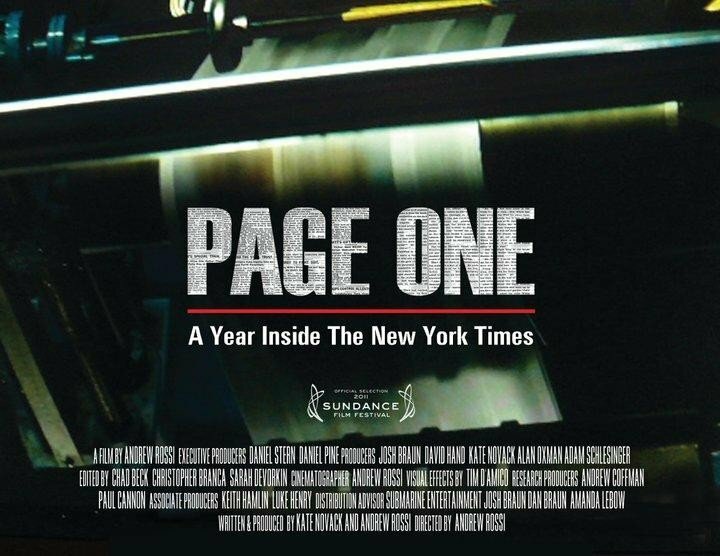 Documentary filmmaker Andrew Rossi was just recently granted extraordinary access inside of the NYT newsroom for his compelling new film Page One: Inside the New York Times, which was acquired by Magnolia Pictures and Participant Media at its Sundance Film Festival premiere for theatrical release on June 24th. The film gives the audience an up-close look at the vivacious central workings of the Media Desk, from debates and collaborations to the adept pitching that brings the paper to life each and every day, all while the media industry faces its greatest turmoil. View the full trailer below and let us know what you think.